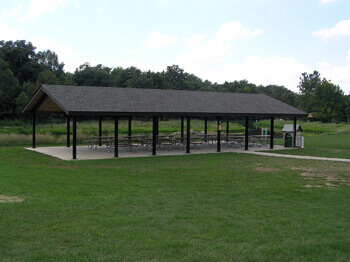 Kendall County Forest Preserve District offers daily use rentals of our picnic shelters at Harris, Jay Woods, and Richard Young Forest Preserves. One-week advance notice is required for use of District facilities. 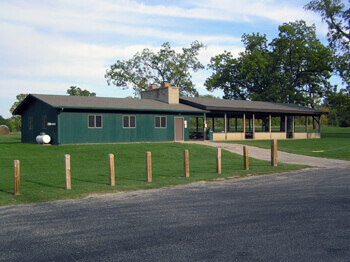 Family and group campsites are also available for overnight camping. 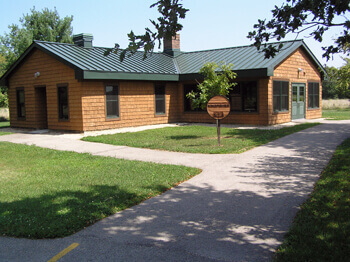 Rental of overnight camping facilities are available at Hoover Forest Preserve in Yorkville. Amenities include three bunkhouses. Each bunkhouse includes a reception room, full kitchen, and two bunk-wings that sleep up to 16 people (32 total). Email: rantrim@co.kendall.il.us or call 630-553-4025. Firewood is available for an extra charge (no outside firewood is allowed in District preserves).